For anyone who’s still on the fence about attending the NGS Conference in Cincinnati, which is coming up in two short weeks, here’s a quick reminder: pre-registration for the conference ends tomorrow, Tuesday, April 24th. There are so many great speakers, session topics, and events scheduled that you won’t want to miss it. 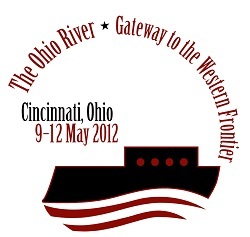 With a theme of "The Ohio River: Gateway to the Western Frontier," it starts May 9 and runs through May 12 in downtown Cincinnati. I’ll be there, and so will over 40 other bloggers, according to the last count on Geneabloggers. While walk-in registration will still be available at the door, pre-registration gives you access to the conference syllabus online prior to the conference. That way you can read about the sessions in much greater detail and choose the ones you want to attend ahead of time—a big plus, considering there are 10 choices available for each time slot! You can even print out syllabi for the classes that interest you. Registering online also gives you a chance to sign up for luncheons and events you might want to take part in. April 24th is also the deadline to sign up for individual Ask An Expert consultations. These free, 20-minute consultations are available for you to submit one of your own family history research questions to get professional feedback and guidance. Ask An Expert is being coordinated by the Great Lakes Chapter of the Association of Professional Genealogists, of which I am a member. For more information, see the conference brochure or the official NGS Conference Blog. I also wrote a post on the 2012 NGS Family History Conference for the digi-newsletter News from the Field. (note: News from the Field is in the process of moving to a new site, The In-Depth Genealogist). So don’t wait any longer to head over to the NGS 2012 Family History Conference registration page. If you’re a member of NGS, be sure to log in before registering to get the member discount. Will I be seeing you in Cincinnati?